The last one on the map, at about 11:30 pm, was a magnitude 5.7 and it was more of a long-ish rolling quake than a violent shake. So that’s 13 quakes in the last two days. No damage, but the increase in seismic activity this week sort of gets to you after a while. 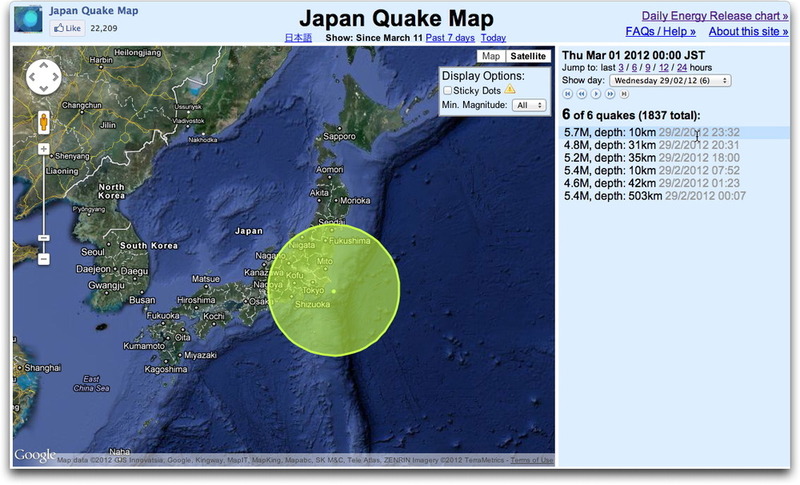 This last quake’s epicenter looks very close to Tokyo, and near the epicenter was a level 4 on the Japanese scale of 7.